Harry and Hermoine take on a Roman Soldier - who will win this battle between swords and wands. Little Red Riding Hood gets lost wandering through the woods on her way to Granny's. The Gruffalo found climbing trees in the woods at Webber - Beware! Toad from Toad Hall gets a lesson in How to Train Your Dragon from Hiccup. The Webber Under 14 Netball Team Take Another Win! 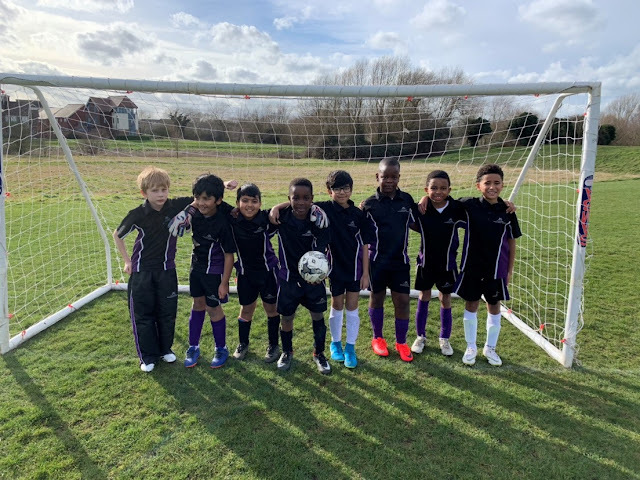 A superb and energetic match was played on Tuesday 5th March against Broughton Manor School, which was a rearranged fixture due to the snow day earlier this year. It was a very competitive game that kept all on the sidelines oohing and aahing, and cheering. Man of the match goes to Tomiwa, he scored three of the five goals and was instrumental in lining up the other two. Well done to the entire team, you played well as a unit. 5-1 win to Webber. 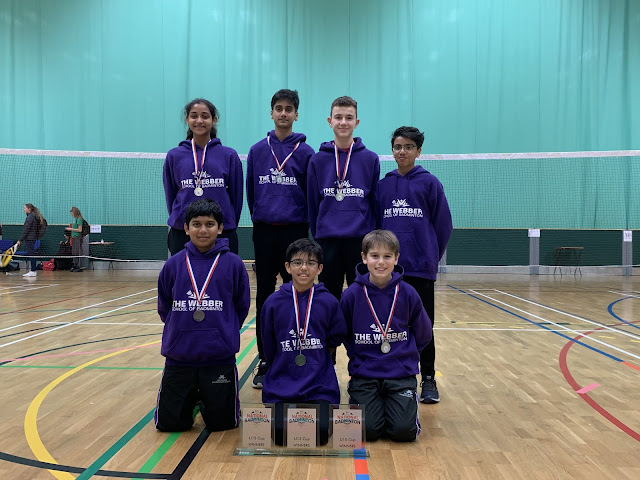 Today, the under 15 and under 13 badminton teams competed in the county round of the national schools badminton competition at Stoke Mandeville Stadium. The under 15 team took a little time to warm-up but once the individual players focused, they performed well and finished a respectable 5th. Player of the under 15 tournament went to Nadeem Dalvi. The under 13 team performed really well and had a fantastic tournament. The players won all of their singles and doubles matches. They took home a gold medal, beating local rivals Oakgrove School. A fantastic team effort - well done to all of you. We look forward to supporting you in the regional finals - come on Team Webber! 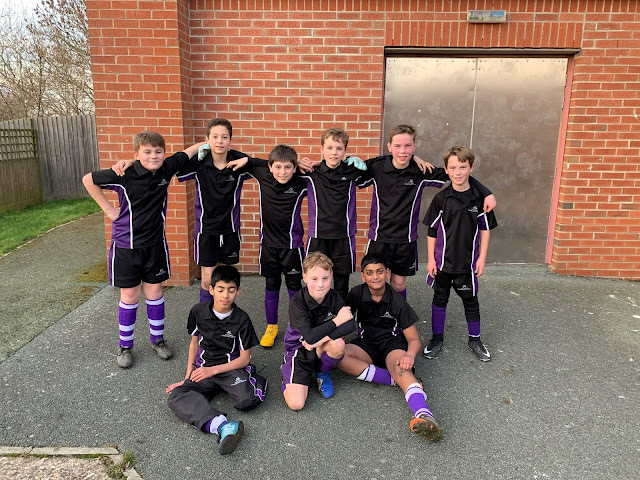 On Wednesday 13th February 2019, the Year 5 and 6 football team played New Bradwell in their second game of the year. It was a thrilling game to watch and their tactics and ball control once again saw the young players walk away with a 7-0 victory. A special mention goes to Emilien for scoring another hat trick. Well done boys! A superb match. 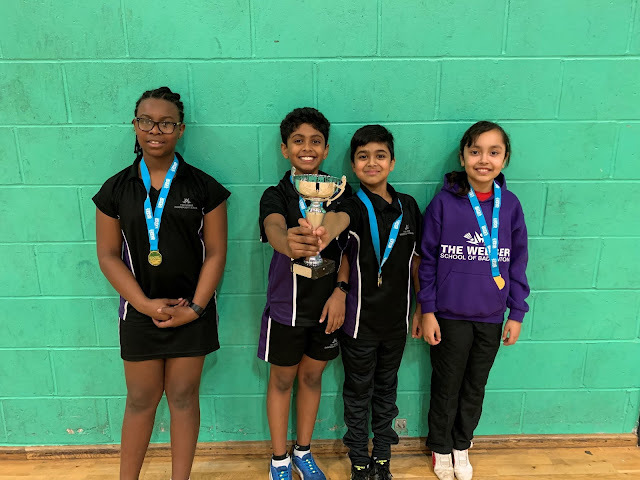 On Tuesday 5th February our Year 5 and 6 badminton team took part in the MK and Bucks BISI Badminton Tournament and walked away victorious; winning all of their matches against a number of Milton Keynes schools. Their results were: 4-2, 6-0, 6-0, 6-0 & 5-1. Well done to all involved. The Year 5 and 6 football team put on a great performance on Wednesday 6th February, winning 7-2 against Broughton Manor. The man of the match goes to Emilien scoring three goals. Well done boys! Great play. 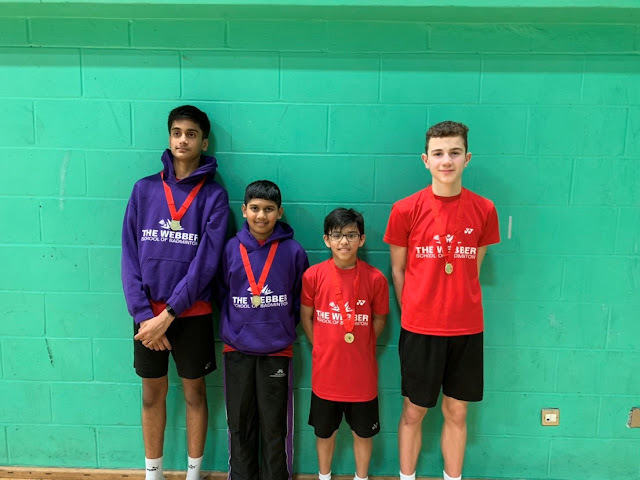 Webber attended the ISA badminton championship at Nottingham university with a squad of U13 boys and U15 boys and one U15 girl. The initial rounds were dominated by the Webber pupils, all topping their groups without dropping more than five points. Ashwati also won all of her matches only giving away five points. The knock out stages saw the Webber boys facing off against each other. Ibrahim beat Hayden in the cup final 15-5 and Ritvick won his third place match 15-1.